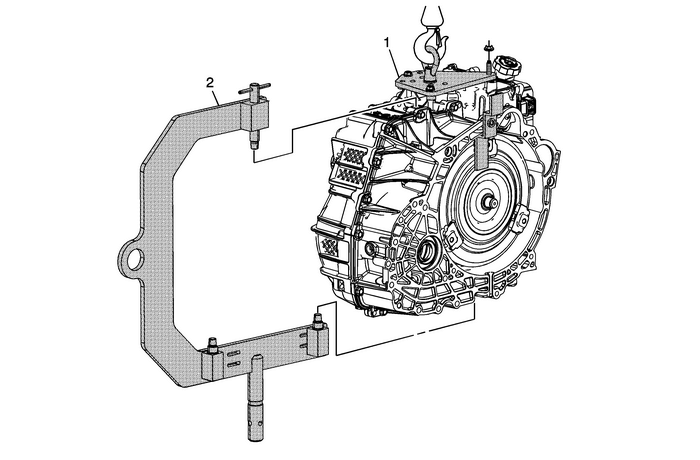 Warning:Handle with care, the transmission assembly weighs over90.7-kg (200-lbs). Bodily injury could occurif not handled properly. Note:After Installation of lift plate, raise the transmission with an overhead hoist.